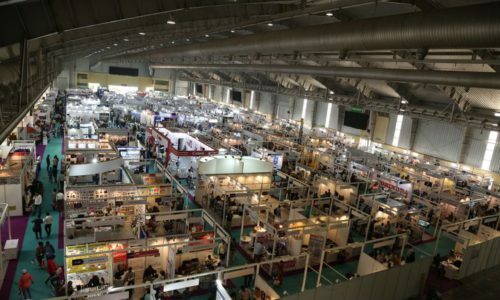 With a footfall of 7523 unique visitors, South India’s largest packaging Show, PackPlus South’17 has been highly effective in catering solutions to various packaging, printing and supply chain segments. PackPlus South concluded successfully along with PrintFair and SupplyPlus South 2017 on 10th April at BIEC, Bengaluru. 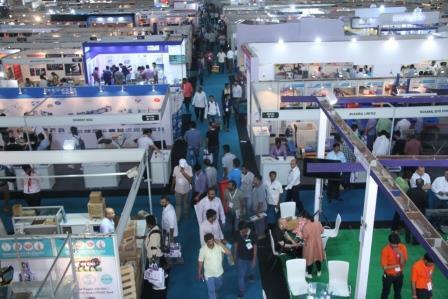 The four day show featured 200+ exhibitors, 100+ live demos giving its visitors a hands-on experience and also served as a launch pad for 50+ products. The USP of the show was the assortment of solutions those were on display like ranging from Air Shaft, Dies, Doctor Blades, Rollers & Cylinders, Adhesives, Barcode Technology, Thermal Transfer Ribbons, Ancilliary Equipments, Automation, Bulk Packaging, Caps & Closures, Coding & Marking, Converting Machinery, Film Making To Conveyor Systems, Corrugated Box Making Equipment To Finished Packaging, Labeling Machines, Logistics, Packaging Designing, Pharma Processing, Pneumatic Systems, Pre-Press, Printing Machinery, Tapes, Supply Chain & Warehouse. 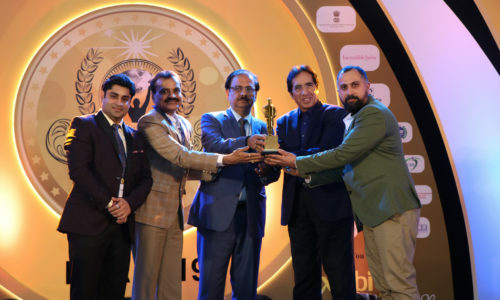 Leading players like Hewlett – Packard India, Konica Minolta India (P) Ltd., Naph Graphics (P) Ltd., Global Link Impex, Prasanna Machines Papers, Domino Printech India LLP, MAS Systech (P) Ltd., Prismtech Packaging Solutions (P) Ltd., USP Packaging Solutions (P) Ltd., Sensograph Packaging Technology (P) Ltd., Elegant International, Pragati Pack India (P) Ltd., Siddhivinayak Engineering, Durapak, Storopack India (P) Ltd., Nichrome India Limited, Prajwal Marketing, Harikrushna Machine Tech (P) Ltd., Parakh Agro Industries, Clearpack India (P) Ltd., Shrink Packaging Systems (P) Ltd., Zhongke India, Superpack Packaging Machines (P) Ltd. displayed large gamut of solutions. 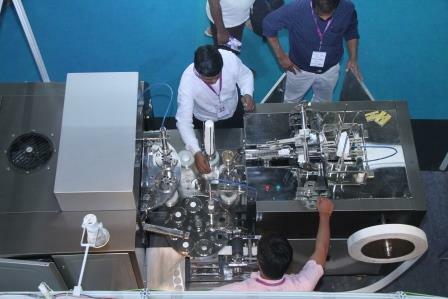 The concurrent show, PrintFair had players like R K Label Printing Machinery (P) Ltd., Flexography India Press, Bhogle Engineering Works, Mehta Cad Cam Systems (P) Ltd., SIMMAC and Hewlett – Packard India Sales Private Limited showcasing solutions for various segments like UV Interducts, LED UV systems, UV Coating & Curing Systems, Dry Lamination machines, Printing Materials, Software Solutions, Paper Cutting Machine & Finishing Equipment, Pre Press, RIP Workflow Proofing Packaging Solutions, Laser engraving machine, Used Offset Printing Machines, Sysnthetic Paper, Thermal Lamination Machine, Stickers & Label Printing Machinery, Stamping, Die Cutting Machines, Photopolymer Plates, Flexo Solvent Recycling. SupplyPlus South featured Spectra Plast India (P) Ltd., Lsquare Eco-Products (P) Ltd., Maxworth Trading Company, Nitta Corporation India (P) Ltd., Nilkamal Bito Storage Systems (P) Ltd., Hi-Tech International, MIPS Plastics displayed solutions like conveyor components, conveyors, engineering plastic products, power transmission flat belts, thermoplastic hydraulic hoses, racking and shelving storage, injection moulded and roto moulded plastic crates, vacuum formed crates for odd shaped components, fabric crates for scratch sensitive components, roto and injection moulded plastic pallets, racking and shelving storage systems, material handling equipment and etc. 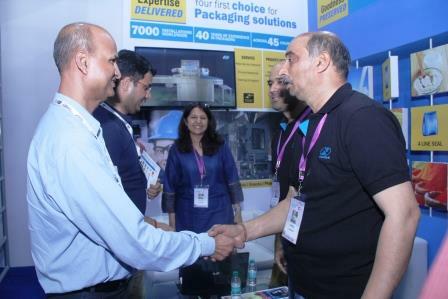 “PackPlus South received overwhelming response at Bengaluru. It was a result of the extensive marketing and promotions held across South India to bring in the prospective visitors. The exhibitors are highly positive about converting the leads generated at the show. PackPlus South being a biannual expedition, the next show will be held at Hitex, Hyderabad from 9 to 12 March, 2018. 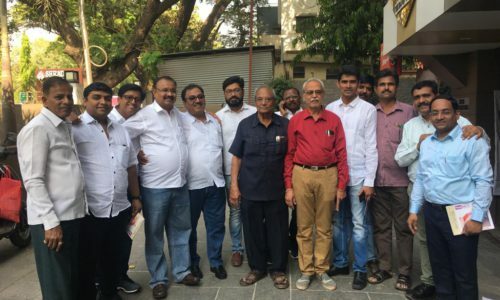 We shall be coming back to Bengaluru in 2019.,” said Neeta Arora, Director, Print-Packaging.com (P) Ltd., the organisers of the Show. Previous post PackPlus South Concludes Successfully with 7523 Unique Visitors! !